March is Endometriosis Awareness Month and this year, it feels different. It feels different because last year my diagnosis was new. I was still reading up on everything there was to learn about the disease; hopeful that in time things would get better. But, since then I have been met with much disappointment and discouragement. A few weeks ago my referral to a reproductive endocrinologist finally came through and thus began days upon days of blood tests and pelvic ultrasounds at a fertility clinic. My first trip to the clinic was not like other doctor visits. Walking in you can’t help but feel welcome. You see the Keurig machine, comfortable couches and flat screen televisions and just think, “Am I in the right place?”. 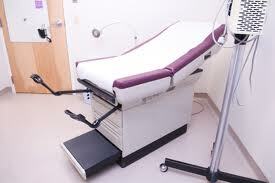 Rest assured, as soon as they call you back, the setting quickly changes from one of a living room to the standard clinic examine tables, white coats and medical equipment you hope they will not be inserting you know where only to find out, yes in fact they are going to insert that you know where. For those not really sure of what goes on in such clinics, your menstrual cycle is basically monitored from day 1 through to the start of your next cycle. They check for irregularities, that you’ve ovulated, any abnormal growths and in my case, the thickness of the endometrium. Unlike many of the women frequenting the clinic alongside me, I am not going there for assistance with getting pregnant; I’m there because I need relief from the day-to-day symptoms that are making my life very difficult. After once again being instructed to try to get pregnant, and fast, I honestly told the doctor that I can’t envision a life with children, if my life will be as it is today – filled with pain, nausea, diet restrictions, fatigue etc. How can I take care of a new life, when I struggle to take care of my own? The thing is, as soon as a fertility clinic hears that you don’t want to get pregnant, they treat you differently – as if you are less of a woman and a waste of their time. My referral wasn’t for the fertility services, but more so the expertise that I could gain from seeing the endocrinologist on staff. When the tests first started I was excited. The idea of new knowledge and support was appealing. I let myself become vulnerable to the medical system, lying back in anticipation that the awkward (and sometimes painful) examinations would lead to something better. Yet, visit after visit the hope I began to allow myself to feel again, quickly started to fade. Like all the others, this doctor really only knows to prescribe two things to assist with endometriosis: pregnancy or birth control. What else is there if you can’t tolerate birth control and pregnancy is not what you want this day in your life? 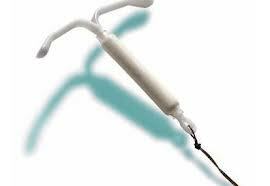 To my doctor’s knowledge, there is nothing else that is medically proven to suppress ovulation and aid in the pain. Endocrinologists are trained to diagnose and treat hormone imbalances and problems by helping to restore the normal balance of hormones in your system. Given my experience over the past number of years, I feel like they should add, “… helping to restore the normal balance of hormones in your system through fake, synthetic and unnatural hormones… and if you’re lucky some pretty risk laden chemicals. Most endocrinologists get over ten years of training which includes four years of medical school and then additional years in residency or an internship program. Pretty impressive… or is it? Even with all that schooling, these doctors have a very narrow viewpoint. I’m beginning to realize that no matter how much unusual growth they find, at the end of the day, they really aren’t there to help you overcome endometriosis, they are there to simply manage the symptoms through their trusty aid: Bayer Pharmaceuticals (or insert pharmaceutical giant of your choice) . The doctor had asked me to think outside the box in my initial visit – to try to think beyond the endometriosis and to be open to new ideas. Imagine my frustration when he fails to do the same, visit after visit. I will finish this round of testing, hear the final verdict and will most likely have to take my results to get a second opinion. I’ll still go every three days to get poked and prodded until this month’s period arrives. I’ll go because maybe, just maybe something will show up that will make the doctor take a second look. To all those living with endometriosis, my love goes out to you. And my love goes out to YOU. You’re in my thoughts and prayers. Hope you can maybe gain some new insight with all of this.